Finding that fantastical destination that’s ideal for a cruise, wildlife viewing, fishing, and outdoor fun sounds like a tall order, but is well within reach. An Alaskan vacation fits the bill for wilderness lovers and anyone who appreciates stunning scenery and plenty of fresh air. Alaska also makes for the perfect multigenerational trip, family vacation, adventurous singles or couples with something everyone will love. The best time to travel to Alaska starts with the right price point. You’ll find the lowest prices in early May and September when it’s still cold and travel has dropped off. Although there are certainly ambitious people who travel to Alaska during winter months, you should be prepared for some intense cold and snow during scant daylight hours. However, if you want to travel Alaska during the best possible weather, June and July are your best bet for blue skies and a warmer climate to get outdoors. Of course, if you’re looking for more than just weather, you can refer to your bucket list. Got bears on your must-see list? Wildlife lovers should book their Alaska travel during July. Want to catch some glorious, award-winning King Salmon? Head to Alaska May through September to snag that ideal catch. Or maybe you want to hike the infamous Mt. Denali? Your ideal time to go is late May or early June when the weather is just right. An Alaska cruise is a phenomenal way to see a diversity of landscape from snowy mountain peaks to icy glaciers. Alaska cruise season typically runs from mid-May to mid-September, with mid-June to mid-July being the peak season. This time period allows for optimum weather and daylight. Otherwise, you could end up with limited light to see and do everything Alaska has to offer. If you’re curious how long you should stay in Alaska, 7 to 10 days is usually a good bet. That range offers plenty of time to see and do a wide range of activities in Alaska. For cruisers, a lot of people go to the region three to four days before or stay after their cruise to pad in some time to explore further. However, it’s important to look at the ship’s itinerary before you book. Some ships only come into port for half a day, and that really doesn’t leave enough time to explore Alaska’s beauty. Find a cruise that stays in port long enough to really enjoy a leisurely shore excursion in Alaska from dog sledding to rafting. You already know Alaska is bursting at the seams with beauty and wilderness, but what kind of vacation should you actually plan? An Alaskan cruise is always a popular option so you have a home base right on the boat with the freedom to get off and on for shore excursions and Alaskan adventures. Of course, a cruise isn’t the only way to get an up-close look at Alaska’s wilderness that you can’t always get to by car. 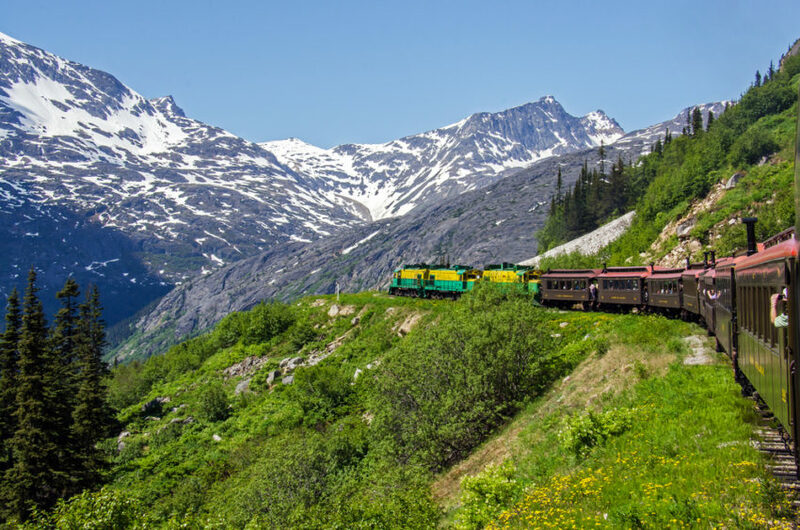 A trip along the Alaska Railroad also offers unparalleled views into the backcountry. You can extend your trip and span across multiple cities and explore more of Alaska. Or you can opt for a shorter excursion that takes passengers through Alaska’s White Pass. 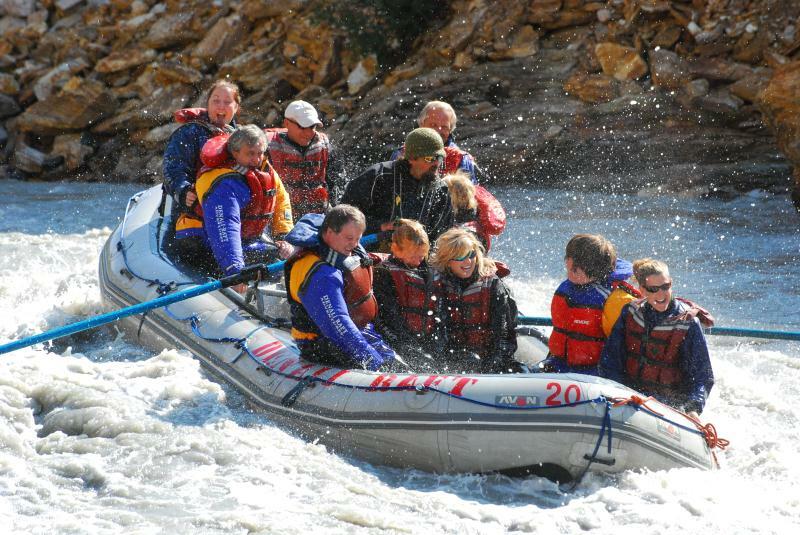 Guests see glaciers, gorges, waterfalls, tunnels, and trestles while a historic narration details captivating tales, local lore, and stories from the Gold Rush era over the course of a few hours. For an opportunity to see the Yukon unescorted and on your own time, a Skagway Jeep Rental gives you the freedom to explore basic roads and rough terrain. The area is renown for its gold rush days when prospectors would show up and brave sub-zero temperatures and waist-deep snow and trudge along the same path. Make extra time to plan stops at glaciers, lakes, mountains, deserts, valleys, and flats within a 75-mile range. From May 14 until September 7 (weather permitting) guests take a completely captivating Helicopter and Dog Sled tour for a journey through glacier-carved mountains. A short flight takes your group to Herbert Glacier where the sounds of barking dogs greet you. These pups are eager to get going, and after some instruction about sledding, you’re off on a 1 1/2 to 2-mile loop. The dogs are thrilled to run through the snow before ending their day at the dogsled camp house among 40 huskies and crew members. You’ll feel like a member of the family by the time you’re done! Have you ever wondered what life is like for sea crab fishermen on Alaska’s notorious waters? 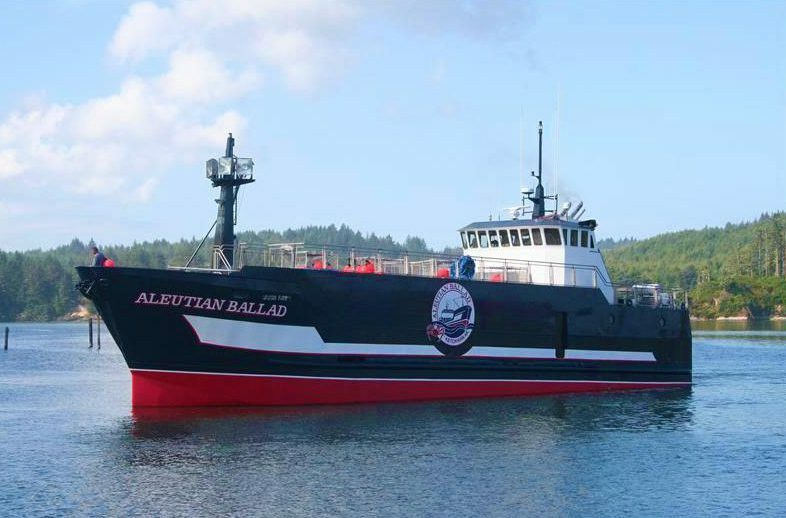 Take a tour and see for yourself in Ketchikan for an adventure on the great “Aleutian Ballad”. This crab fishing vessel was even featured on the Discovery Channel’s Deadliest Catch . Guests choose between a heated and sheltered amphitheater or panoramic upper deck to soak up the landscape around them. The tour glides alongside Alaska’s islands where a porpoise or whale may swim by and say hello. You’ll even see a live catch up close and personal as the Aleutian Ballad crew hoists up their nets. Afterwards they place them in a tank for everyone on the boat to see before gently releasing them back into the sea. Go deep into Alaska to the Sitka Sound where the sea breaks against the edge of the wild Tongass National Forest. 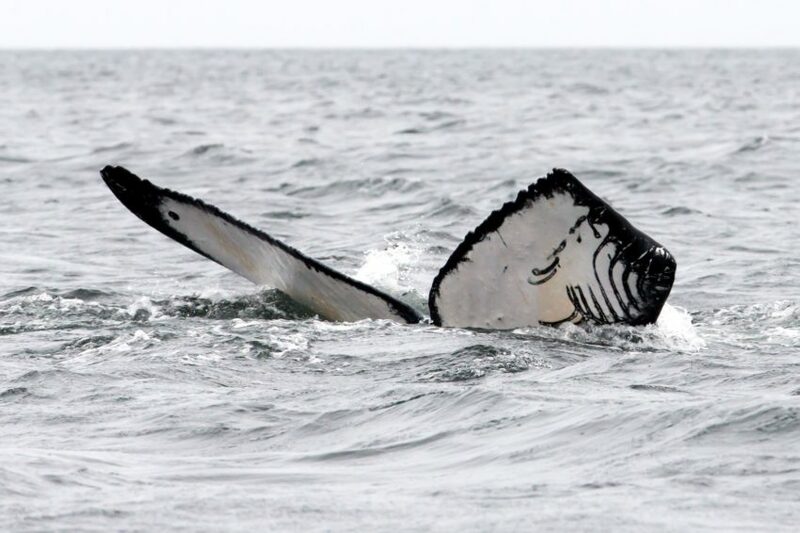 Visitors see glimpses of humpback, gray, and minke whales along with curious orcas. Sea lions, harbor seals, sea otters, and puffins also abound. The Tongass National Forest area is also abundant with brown bears that roam the forest and surrounding coastline. Take a Private Sitka Wild Paradise Adventure that glides safety by on a safe 31-foot welded aluminum vessel designed especially for challenging waters. Tours can be tailored to your personal preferences and hit the areas that matter to you most whether whale watching or visiting playful sea lions. 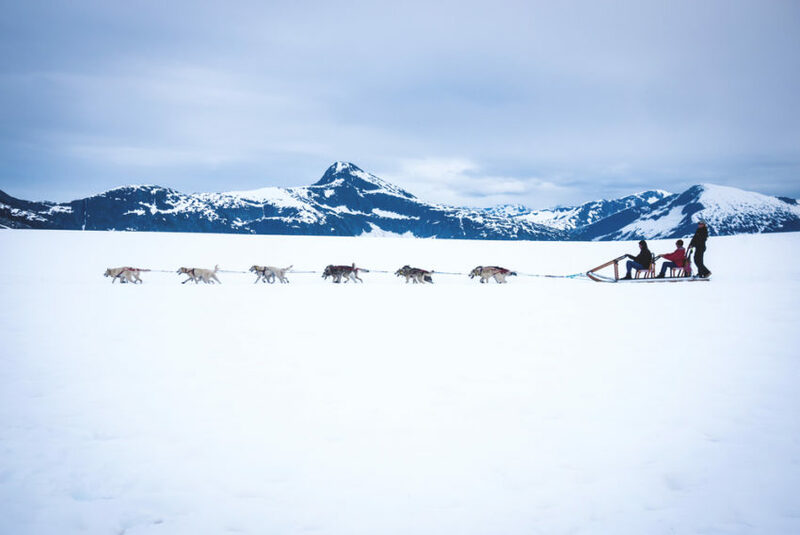 Remember that an adventure in Alaska starts with your wish list from wildlife to unique dog sledding excursions and ends with sparkling stars and cool nights. Choose an Alaskan vacation that leaves plenty of room to indulge in your must-see bucket list and time to soak up the surrounding beauty as well. What’s your idea of an over-the-top perfect Alaska vacation? This article was originally published on ShoreTrips.